← CCMC Welcomes 2013 By Dropping 495 Pounds! 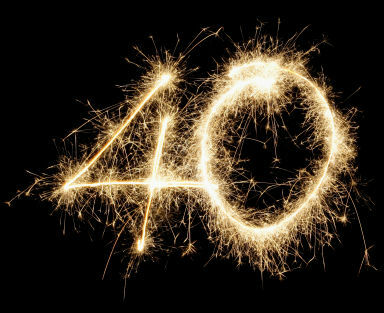 CCMC Celebrates 40 Years in Business! It’s hard to believe another year has come and gone. Last week, as the ball dropped and the corks popped, we all resolved to live better, work smarter and not sweat the small stuff. But this year is anything but “small stuff” for CCMC. That’s because 2013 marks our fortieth year in business. Formed in 1973 in Dallas, Texas, Capital Consultants Management Corporation started out as an apartment syndicator. At that time, many apartments began converting to condominiums and all of these projects needed managers. To meet this need, our founder, Ed Boudreau, began growing the most well-respected condominium management company in the Dallas region. Since then, our firm has completed 13 acquisitions and discovered our true wheelhouse while working with master-planned communities. Today, CCMC manages many of the nation’s most desirable neighborhoods. Over the past four decades we have learned quite a bit about community association management. It is our pleasure to share this knowledge with our clients. But no matter how much our industry evolves, our most important lessons remain the same: put people first, do the right thing and never underestimate the power of the human spirit. CCMC is committed to transforming everyday life in American communities. We approach this commitment today with passion and purpose, just as we have for the past forty years. Thank you for giving us the opportunity to practice our profession in your neighborhood. Thank you for being the reason why we are celebrating!